A much larger space is the perfect blend of rustic and elegant touches. Surrounded by light from its numerous large windows and skylights, you’ll find it hard to believe you're indoors. Rustic red brick floors lead into perfectly polished red and white terrazzo floors. 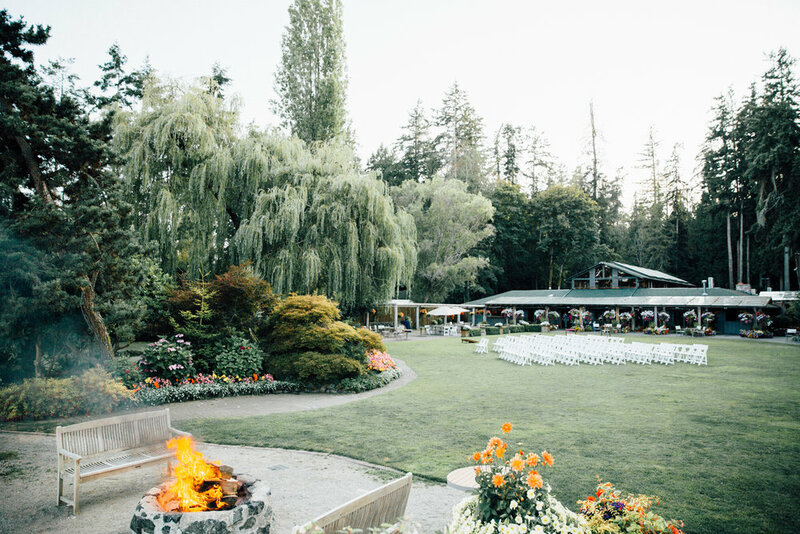 Rustic wood paneled walls, exposed wooden beams that hold perhaps the most beautiful sword ferns you've ever seen, a historic pulling canoe, and plants surrounding candle lit fireplaces, all bring elements of the outdoors in. 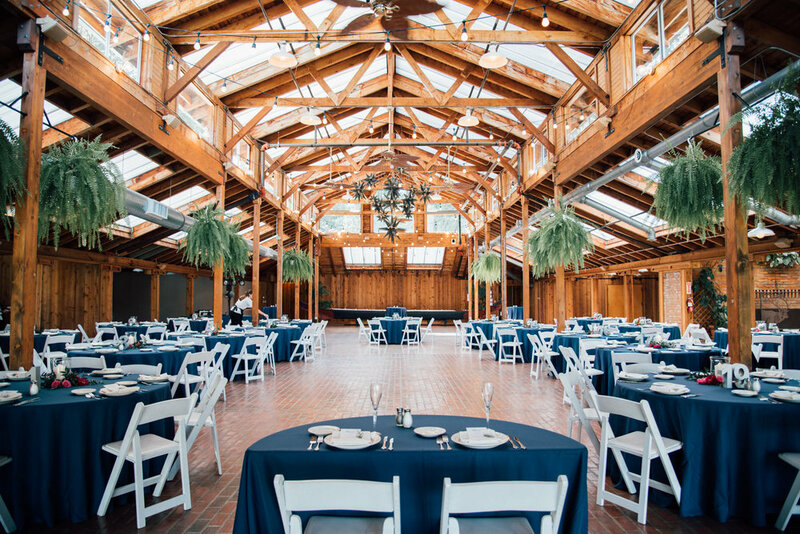 Your guests will dine under warm string lights, and will watch you take your first dance under the stars. This space includes a large full service bar with an outside service window, just incase you're having too much fun outside. Large, double french doors open out to a long glass-ceiling terrace, where you can enjoy beautifully crafted hanging flower baskets and conversation at small patio tables.